If you think you know Italy, think again! It's not just a country filled with Italians, it's a land filled with people living in regions so distinct, so unique, that it takes a great chef to unearth just the right recipes to capture their essence. 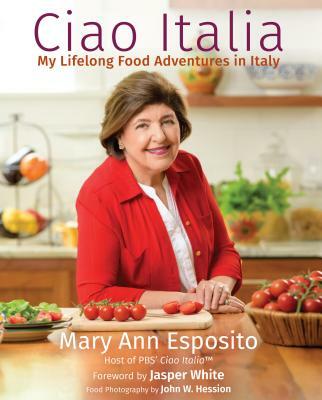 Mary Ann Esposito, host of the longest running cooking show on television, Ciao Italia, celebrates her twenty-fifth season by coming Under the Italian Sun to lead you on this wonderful eleven-day journey to discover the culinary secrets of the Veneto, including stays in the city of Verona and of course hauntingly beautiful Venice. 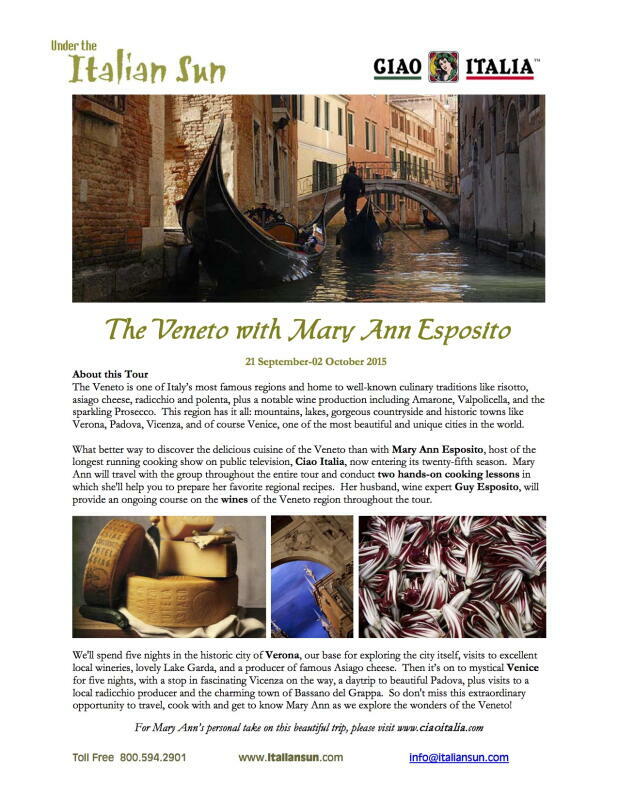 Click here to download the four page Veneto with Mary Ann Esposito 2015 Tour Brochure. Very interested in the Veneto trip. Merry Christmas and Happy New Year! I am 75 years young, retired some 10 yrs ago. Just wanted to tell you how much I love your shows and that I've been watching you for years. I am hoping to join you on your 11 day journey in Verona and Venice. Lived in this area of Italy for 3 years best time of my life!